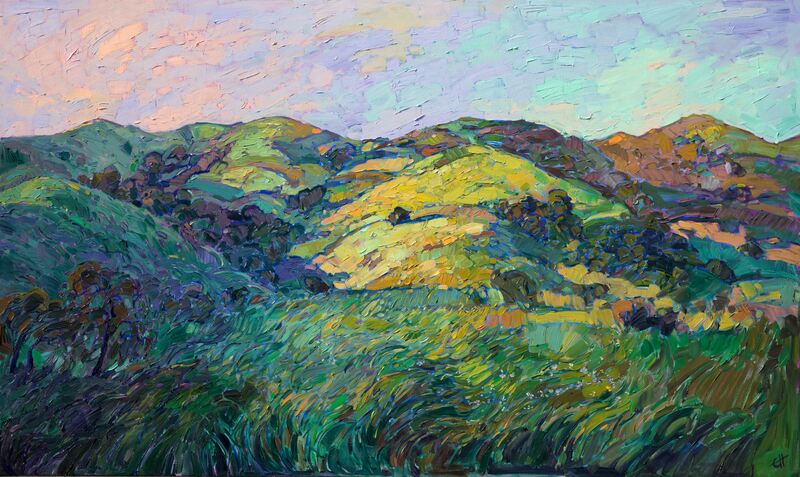 Southwest Art Magazine Names Erin a 2013 "Artist to Watch"
"ERIN HANSON calls her style of painting 'open impressionism' and explains that it encompasses wide brush strokes and an all primatechnique. 'Open impressionistic painting is blind to the rules of traditional impressionism, taking a more colorist, 'open' approach, with the artist attempting to soak in the basic abstract shapes of the landscape on a more primal level,' Hanson says. 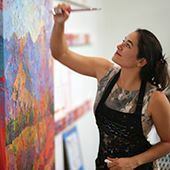 "Although the California-based painter was interested in art at an early age, she didn't consider it a career when it came time for college. She took a few art classes at the University of California, Berkeley, but majored in bio-engineering. 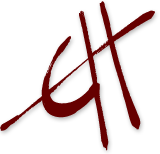 Hanson says that although she enjoyed her courses in subjects such as microbiology, the actual work in the field seemed boring and mundane. After graduation she started her own business, which eventually blossomed into a successful, lucrative venture. Meanwhile Hanson also become an avid rock climber, and this hobby ultimately led her back to her childhood passion for painting. 'When I climbed, I saw vistas in the desert, and I just knew that I could paint those landscapes for decades to come,' she says. "At the time she was living on the edge of Las Vegas, NV, and climbing regularly in Red Rock Canyon. Today Hanson lives in the Los Angeles area, paints full time, and heads to the Mojave Desert for climbing expeditions whenever she gets the chance. Rocks continue to serve as a major source of inspiration in her work, often translating into simple, abstracted shapes that form a mosaic of colors on her canvases. 'I am lucky enough to go into terrains that lots of people can never go into,' she says, 'I want them to be transported to these landscapes and experience their beauty through my paintings." 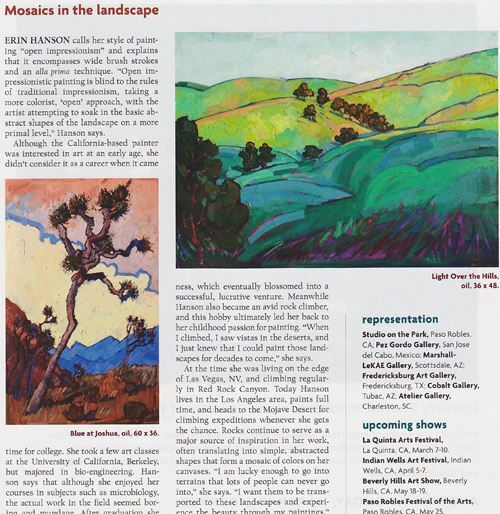 Article by Bonnie Gangelhoff, Southwest Art Magazine; March 2013.